One could trace Joni Mitchell’s jazz sensibilities perhaps as far back as Court and Spark, certainly by the time of The Hissing of Summer Lawns. In the mid-to-late 1970s, many of Mitchell’s compositions utilized jazz musicians due, in large part, to the instrumental dexterity required to play them. 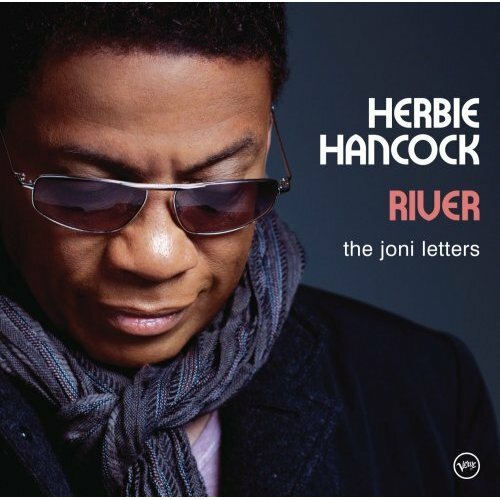 One such musician, Herbie Hancock, now leads a brilliant tribute to Mitchell on his latest release, River: The Joni Letters. Rather than presenting literal translations, Hancock takes liberties in spacing out the sound of each song, giving the musicians license to improvise or perhaps to allow a vocalist to slip into a groove. A prime example of this occurs on “Court and Spark,” during which Norah Jones sings in a sparing yet sultry manner while the music sprawls on for nearly eight minutes. Another facet of this album is how the music, even in its more liberal variations, arcs to the sonic contours of Mitchell’s lyrics. On “Amelia,” for instance, Luciana Souza’s voice, which sounds eerily like Mitchell’s on the original track, serves as a through line for Shorter, particularly, to play around. As well, Tina Turner’s refined performance on “Edith and the Kingpin” is the centerpiece of the song, while the musicians deftly compliment its sophisticated phrasings. No one song on this album signifies Mitchell’s command with language better than “The Jungle Line.” Lyrics once buried by Burundi drums now resonate in lucid and striking fashion, as Hancock’s lone piano accompanies Leonard Cohen’s cadenced recitation. Lyrical in their own right by way of their musical structure and sound, four instrumentals fill out the album. Although not written by Mitchell, two of those compositions, Duke Ellington’s “Solitude” and Miles Davis’ “Nefertiti,” were included because they influenced her as an artist. Incidentally, Hancock and Shorter played on the Miles Davis original, from the album of the same name. On each song, Herbie Hancock conducts a compelling rendering of Joni Mitchell’s music and muse. River: The Joni Letters not only represents an exceptional album, but also an appropriate tribute to the most influential female singer/songwriter of the 20th century, the quintessential Lady of the Canyon.